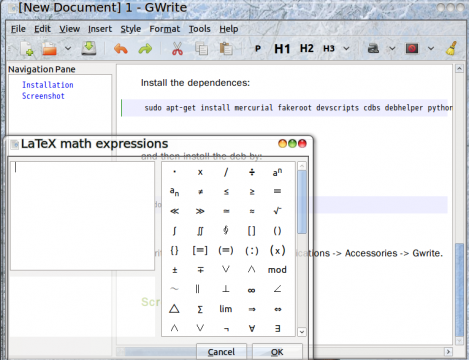 Gwrite is an HTML format text editor for Ubuntu Linux, focusing on writing and simple text formating. It can automatically generate a table of contents based on the document structure. It includes plenty of features list below and few optional add-ons such as gv, TeX Live(Basic LaTeX packages), Web browser running in text mode, Elinks web browser, Text mode www browser. 7. Word count: for document or selections, count the words(with and without spaces), paragraphs, lines, English words, Chinese characters. Gwrite is already available in Ubuntu official repository, just search and install in Ubuntu Software Center. Gwrite can be launched under Applications -> Accessories -> Gwrite. 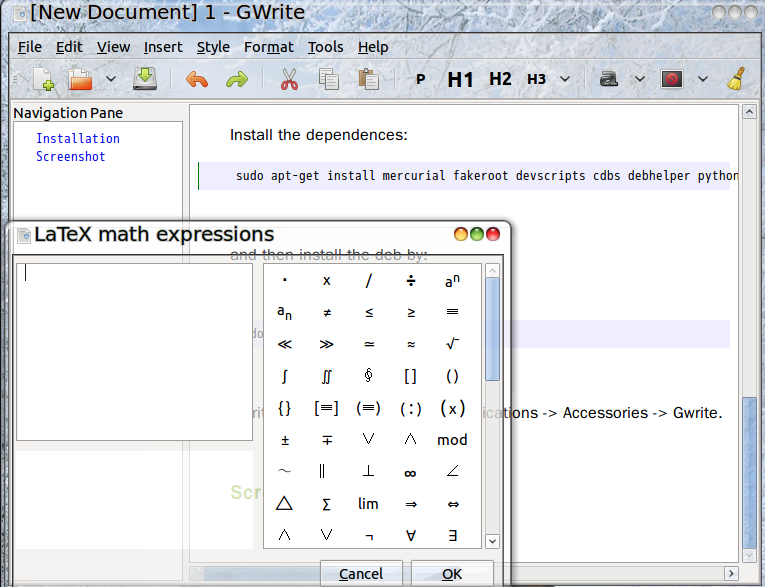 2 users responded in " Gwrite – Simple HTML5 Rich Text editor for Ubuntu Linux "
Great software but my install has a flaw. The drop-down box associated with “open” is stuck on what is apparently the first 25 file openings did after the initial install. It never changes and I have not been able to find a way to remove these original entries to hopefully make way for current work.